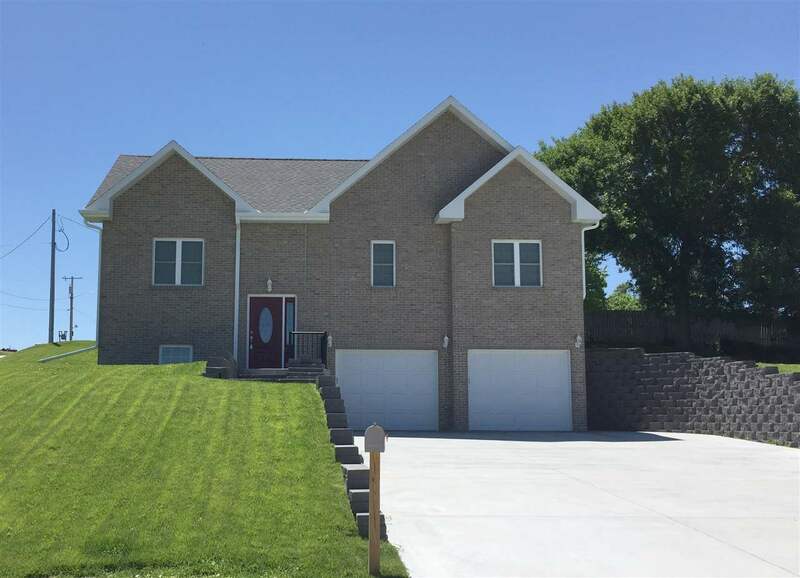 Newly built 2018 brick home has a 2 car attached garage. The entry takes you up into an open concept Kitchen/Dinette/Living Room, a patio door located in the Dinette leads to an outdoor deck, down the hallway leads to the main bath, 2 bedrooms & the master bed & bath, downstairs has a Bath, Laundry/ Mechanical room, & a Family room/ 4th Bedroom. A large corner lot with lawn sprinklers and off street parking. Home also has on demand hot water heater and forced air gas furnace. Call Dave Masek 308-539-5670.